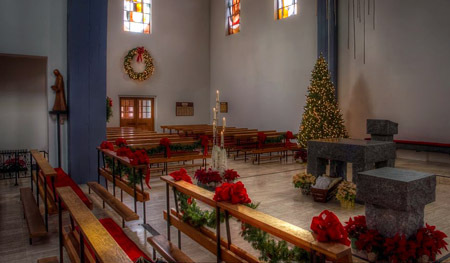 As we move toward the culmination of the Christmas season, Sister Glavin describes her prayer for the new year. 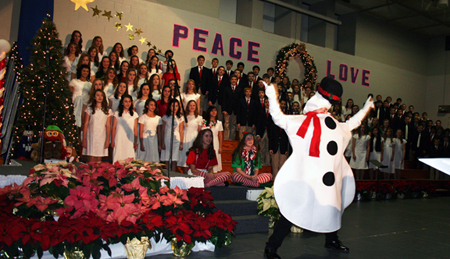 The Academy community celebrated its annual Christmas Basket Mass Dec. 18. Continuing a decades-long tradition, school families donated hundreds of baskets, boxes and cartons of food containing all the ingredients for a holiday meal. 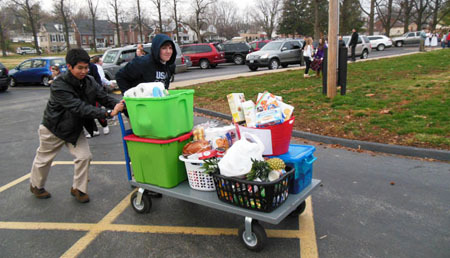 Our older students helped transport the baskets from the car pool line to the bleachers. Generosity and gratitude were tangible at the all-school Mass with Father Richard Tillman presiding. Afterward, the baskets were taken to a dozen area agencies and parishes for area families in need. During the liturgy, the Mothers’ Club officers presented Sr. Glavin with a check to support the Sister Anna Mae Marheineke Enrichment Fund, technology and capital improvements. The Academy community delighted in the Silver Tea performances presented by our Middle School, Lower School and Pre-Primary students Dec. 7, 8 and 10. “Once Upon a Christmas,” “Ring the Bells of Christmas” and “The ABCs of Christmas” were beautiful gifts for parents and grandparents. What a joyous way to kick off the Christmas season! Photos from the Silver Tea performances are below. 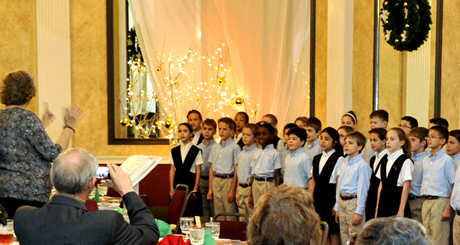 Our Fourth Class students entertained those attending Streetscape magazine’s December luncheon at The Columns with a preview of Christmas songs they’ll perform at the Lower School Silver Tea. 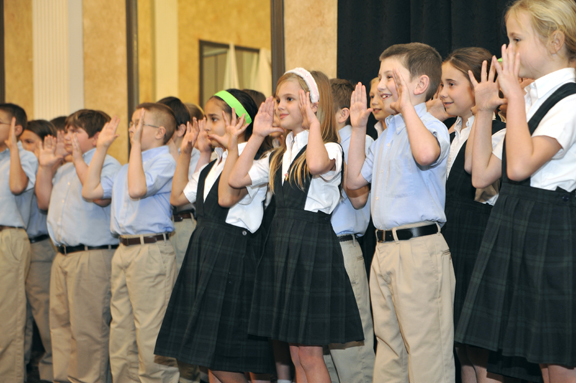 Mrs. Renken described the students as “poised, confident and polite.” They received a standing ovation! Thanks, Fourth Class students, teachers and music instructor Mrs. Kathy Doty. During this busy season, some of our Middle School students made time for shopping and wrapping gifts for families in the Adopt-a-Family project. In conjunction with the St. Vincent de Paul Society at St. Charles Borromeo Parish, Seventh and Eighth Class students tackled the wish lists of five area families in need. With money they donated themselves, they shopped at Target, selected clothing and toys for family members, and wrapped and bagged the gifts for delivery Dec. 7. Additional funds allowed for an extra contribution to Sts. Bridget and Teresa Parish for toys, and for turkeys and hams for Christmas food baskets at ASH.